The album cover and cd design. In March this year, David Ramos better known as Docjazz in the ocarina community released his kickstarter to fund his first ocarina album. I’m not usually the person to buy cd’s but this was an exception. Also I wanted a more physical “proof” of my contribution his project. And as a plus I now have David’s autograph  And sure enough we made it. On April 26 the project reached it’s funding goal and David was all set to start the process. 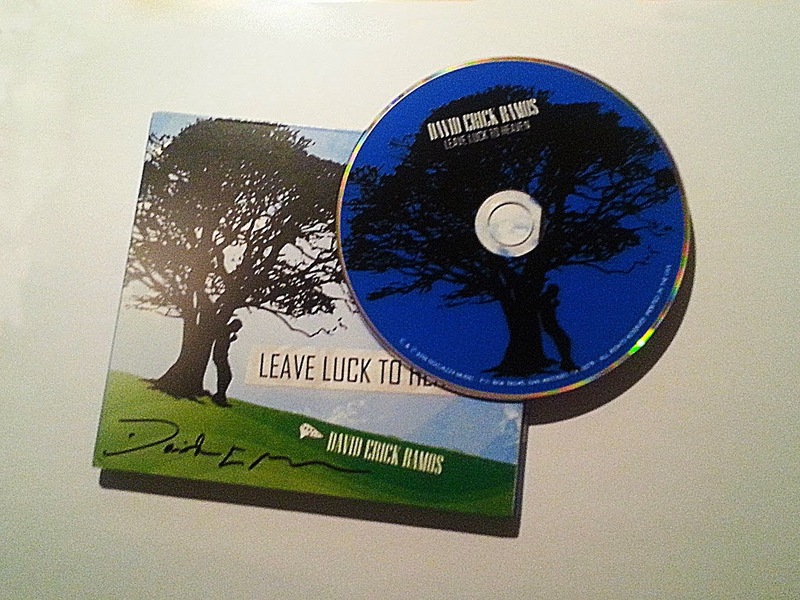 It has resulted in the CD “Leave Luck to Heaven”. And this week it dropped into my mailbox. A little later than some of the other backers since I’m in europe but anyway it’s here. As a backer I also received a downloadable version of the cd before it was released so I’ve had the time to listen to it for a while now, and I have to say there are som beautiful songs on there. I really like the version of “Be thou my vision”. If you haven’t already, you should definitely check it out. It is available on Itunes, Loudr and on David’s website.